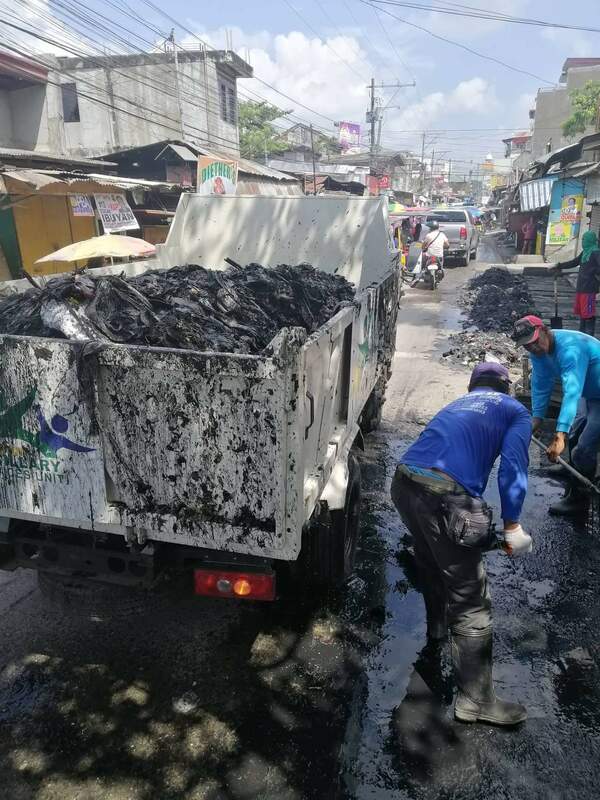 It’s a dirty job, but somebody’s got to do it..
An American living in Davao has attracted a growing following after rolling up his sleeves to clean up his neighbourhood streets. Frustrated with the inaction of local officials, Darrell Blatchley got down to work — and within days increasing numbers of people began to muck in. Mr Blatchley, a marine biologist and owner of the D’ Bone Museum said he had already called on officials in Barangay Bucana to address the problem of waste management. “The barangay does not enforce the laws — from sidewalk vendors to no business permits and construction,” he told the Philippine News Agency today (Friday, April 12). “I posted on social media on Wednesday night — a canal across the museum showing the trash and yet no enforcement. He claimed that waste materials from a nearby restaurant and other houses went directly into the gutter which was a violation of existing laws. “The problem is lazy people. From barangay captains who don’t enforce the laws and sit in their offices to the lazy people who see canals as the trash can. It’s a nation’s problem,” he said. Yesterday, Mr Blatchley and two of his staff pulled out heaps of trash and debris from their mini clean-up drive. Seeing their efforts, members of the Davao City Disaster Team got involved along with staff from the City Mayor’s Office. Earlier today, trucks and more even more volunteers showed up to help. “We filled one dump truck and less than 20 metres of kanal [drainage gutter] were cleaned,” he said. Now, the Department of Environment and Natural Resources has commended Mr Blatchley’s initiative via a Tweet. “Cheers to this guy! Let’s hope this stirs shame in locals who carelessly throw their trash anywhere, and that he will inspire others to do their own clean-up too,” it said. Last month, Mr Blatchley made headlines across the world after he pulled more than 80 pounds of plastic waste from the stomach of a whale during an autopsy. Mr Blatchley needs to be careful! The government likes to ship out foreigners who don’t sing their praises. It appears government officials are working with Mr. Blatchley and praising him for his cleanup efforts.